The cloud closet to the bottom looks like a car speeding off on a race track. The biggest cloud looks like a emperor sitting in a chair controlling his army. 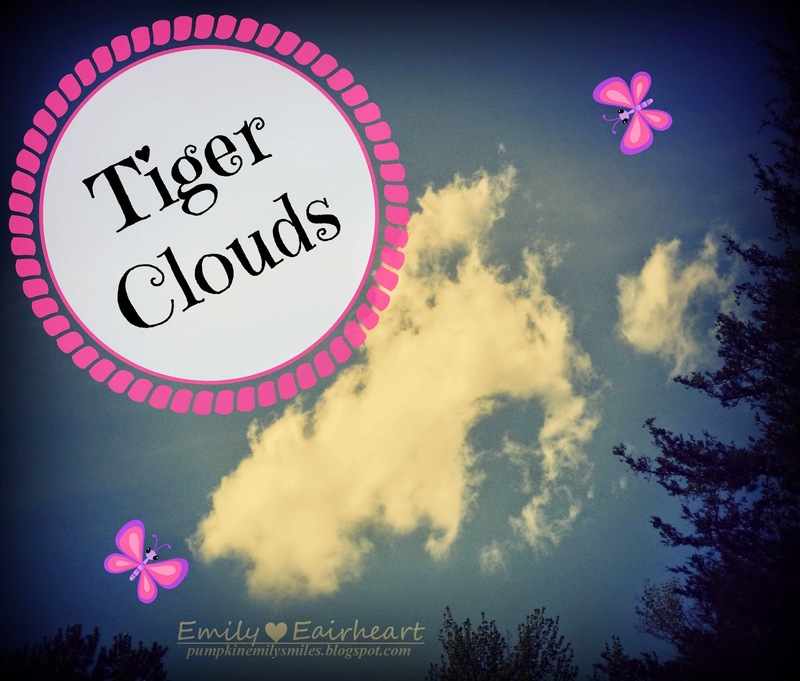 The big cloud looks like a mother tiger and the cloud on the right is the mother tigers cub. It also looks like a jockey riding a horse in a race.